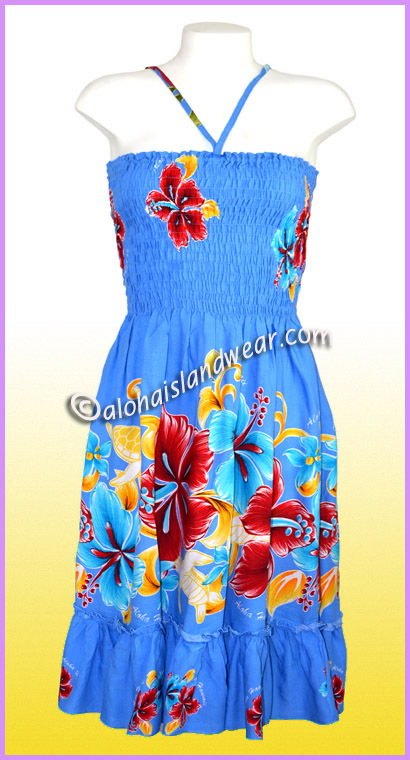 This unique aloha beach dress is made from colorful Hawaiian floral printed fabric with smock dress style, tube top with elastic inset and stretchable, double straps can be tied behind the neck with adjustable for best fit, perfect for beach wedding dress, luau dress, summer dress and travel dress. 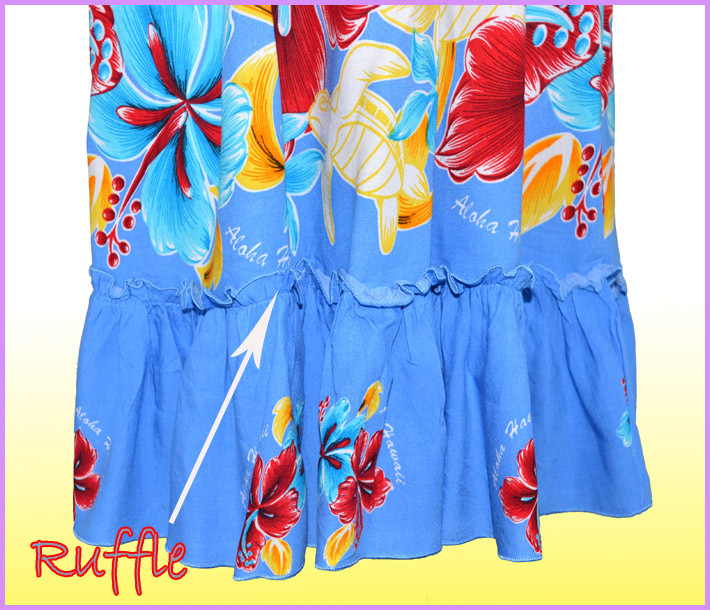 This beach dress is knee-length style and ruffle above the hem (see photos). Dress Length: 32" plus 17" Spaghetti Straps.